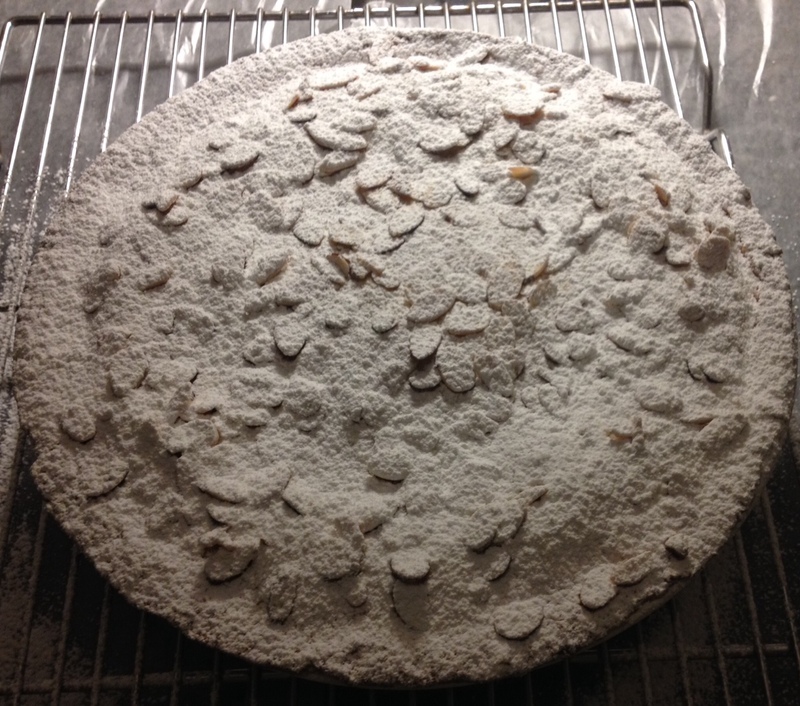 When I got home, torta della nonna was the first thing I wanted to bake. But I held off. I wanted it to be a pure experience – which, for me, meant I wanted to bake it from an authentic Italian ricetta written in authentic Italian. Just about one year later, I made it. 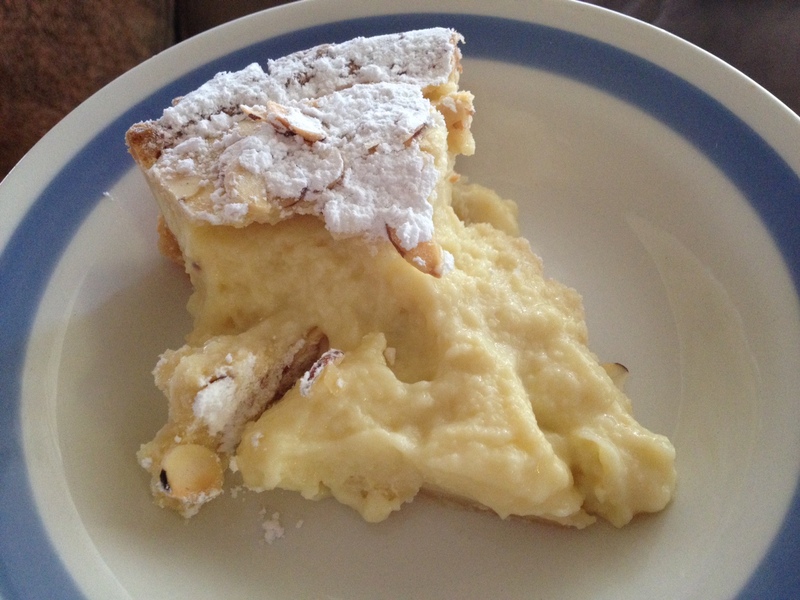 The crema pasticcera: Friends, I could live on this and it’s something I can make in my sleep. The ricetta asked for farina rather than c ornstarch as a thickener; it also called for what, in my opinion, was a huge amount of zucchero. The flavor was terrific (if sweet) with the lovely limona and vaniglia notes. 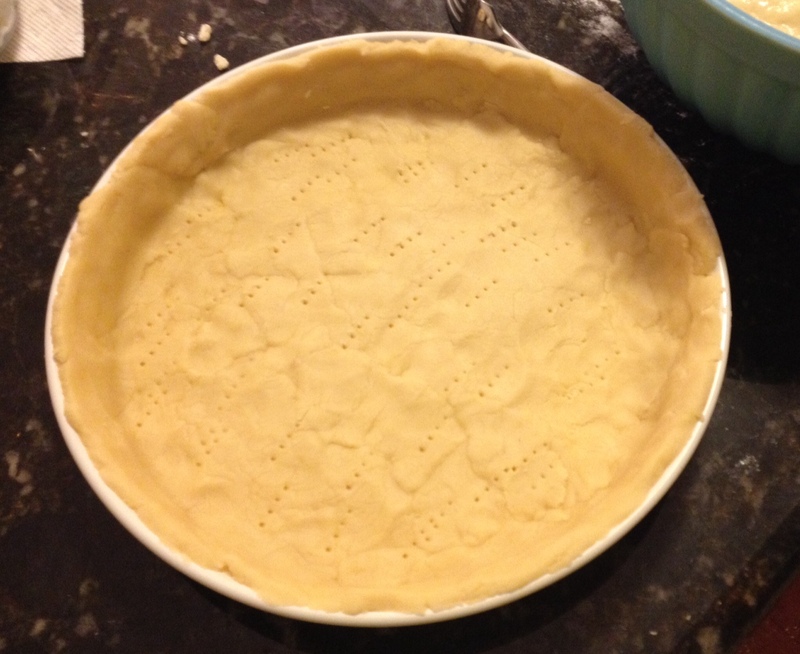 The texture was a bit off, not super smooth like you get with cornstarch. Next time I would dial up the limona and vaniglia, cut the zucchero by a third, and use cornstarch in the crema. Finish: Super easy, especially if you’re a dab hand with the crust. The downside is that you absolutely have to let the torta cool completely and then chill a bit before cutting. I could not wait and my portion, while tasty, was not at all pretty. This ricetta makes a large 10-inch dessert. That’s alotta torta. I’ve got half in the freezer, will report back on how it holds up. With a bit more practice, I think Torta della Nonna will become a spring dinner party staple. Ciao!